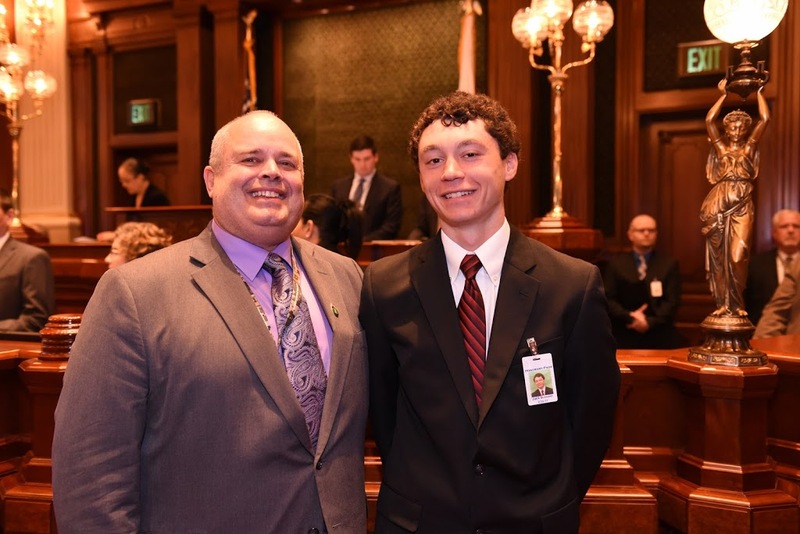 State Representative Dan Swanson hosted Woodhull resident and local legislation inspiratory, Jack Bumann, as an Honorary Page in the Illinois House on Wednesday. Jack was the impetus behind the legislative effort in 2016 to allow middle and high-school students an excused absence in order to play Taps at military funerals in Illinois. Jack has played Taps at several dozen funerals for veterans throughout Illinois. Rep. Swanson recently presented Jack with a replica Civil War bugle after Jack participated in a Civil War veteran remembrance in Andover, IL. “We need to encourage young people like Jack to continue to honor our Veterans,” said Rep. Swanson. Jack plans to attend Illinois Central College in the Fall and will study business and play on the golf team.